At work, we have a monthly potluck. It’s probably my favorite part of my job. Everyone in the department—from translations to communications brings a dish to share with others. Since we don’t have any way to heat up food, except for a microwave, it’s always difficult for me to determine what to bring. Will cold mac ‘n cheese really taste all that great? So much of the time I bring a cold salad or pasta. 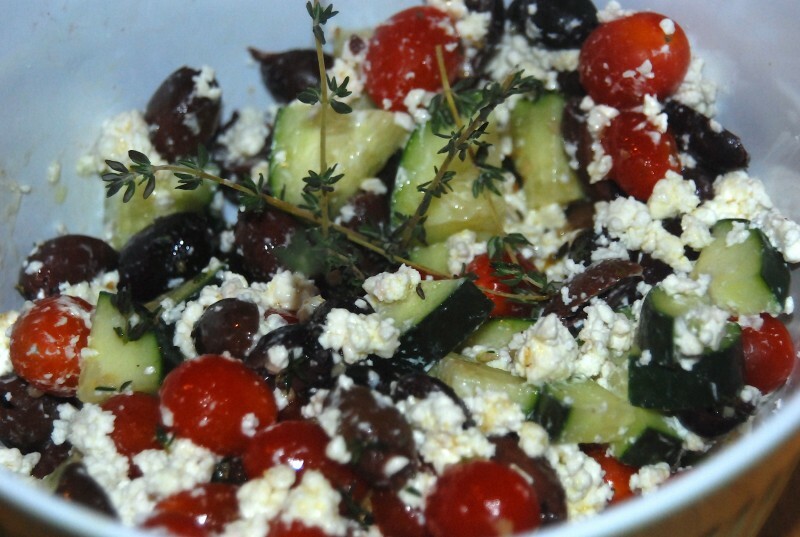 This month I brought a delicious cucumber, tomato and feta recipe altered from a Pinterest recipe by Five Heart Home. 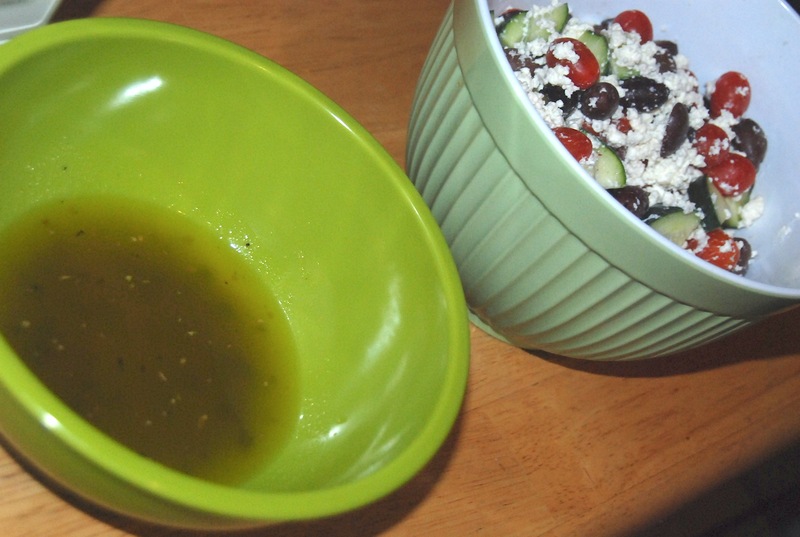 Their recipe can be found at: http://fivehearthome.com/2013/06/28/tomato-cucumber-salad-with-olives-and-feta/. A main change to mine is that I used thyme in place of dill, because it’s what I had on hand. I loved it! Whisk together all ingredients in a medium-sized bowl. Combine all ingredients in a large bowl. Add dressing and toss. Garnish with sprigs. Take pics, refrigerate for a few hours, eat! I thought I’d have plenty of leftovers after the potluck, since there’s usually so much food, but, alas, I did not. But I’m glad everyone seemed to enjoy it. After we eat, we usually play a game. This time we played Catch Phrase. 1) When a lady whose first language is Spanish got the word cop out, she described it as a police officer who is not in. We were super confused, but realized it was a brilliant description once she told us what it was. If you want a pick-me-up at work, try planning a potluck. Bring food, bring a game and just enjoy each other for a change!